Starting the game for the first time, long time players are drawn in by the updated but nostalgic title screen. The game screams nostalgia and aesthetics and is pretty much, in my humble opinion, everything Phantasy Star Universe SHOULD have been, and instantly you get the feeling that this is the sequel you always wanted but thought would never happen. You start your game as one of the original three classes; Hunter (Melee), Ranger (Ranged), or Force (Support). I myself am always a hunter and prefer to get up close and personal with the baddies. Character creation is MUCH improved from the original and PSU. If you played any of the latest MMOs, you’ll be familiar with the amount of customization. It’s not APB or Aion deep but you can very easily create a unique yet memorable character that can be recognized in the sea of players you’re bound to meet and fight alongside. 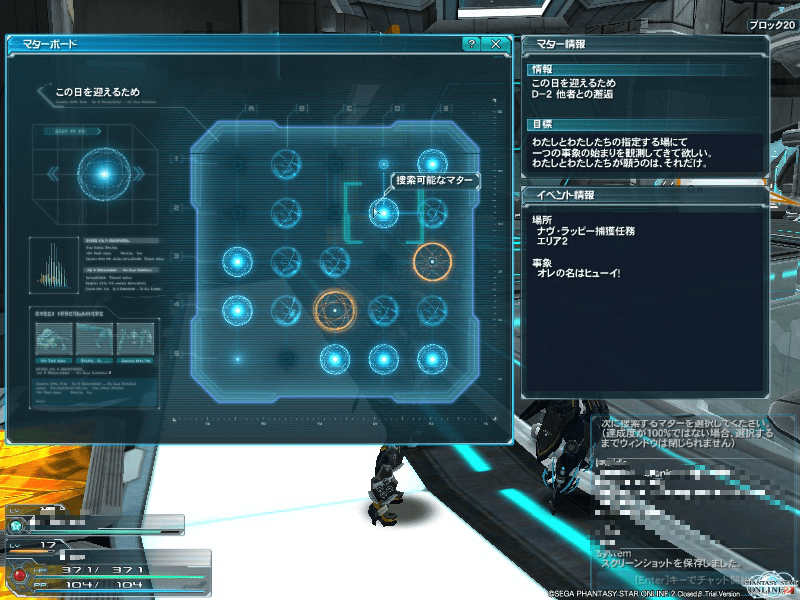 There is a more pronounced story this time around than in the original PSO in the form of what’s called a Matterboard, I won’t delve too far into this as I can not read Japanese but also because during betas, I like to save the story parts for the full game. I will, however, say that it needs t be completed in order to continue the storyline section of the game. Along with the Matterboard, it seems SEGA went a different route with NPC quests. Rather than running up to the counter and doing missions piece-meal, you can take on multiple Client Orders from the NPCs roaming around the Arks Ship. They range from your general fetch quests to killing 10 rats..oodans in this case, Basically giving you a goal to complete as you battle through the zones giving it a more MMO feel. Speaking of a more MMO feel, another addition…you learn actual skills as you progress in level. Such as the Hunter’,Taunt ability. You’re also able to switch between skill trees and classes (if you’re looking to dual spec a specific class), between missions of course. So lets get into combat for a moment. Fighting it out in this game is a lot faster than in its previous iterations. With the added skill tree abilities, dodging, and jumping (yes I did say dodging and jumping), the game becomes a bit more tactical. Rangers and Forces can sit up on high raining destruction on a target while the Hunters mix things up below with melee attacks and photon arts. In the interest of keeping it short, we’ll end here with the promise of a full review, including the new zones, Photon Arts and Skill Trees and more in-depth look into the Arks Cash Shop. I’ll leave you with a question though. New MMORPG titles like, Tera and Raiderz (Think Monster Hunter but in an MMO setting) are on the horizon and most likely be PSO2’s most direct competitors…Animation cancels, are they a justifiable means to an end or simply game breaking? Oh and boss battles, they definitely have gone all out on them or at least they seem have for the beta. Case in point the Vol Dragon. I’m still crossing my fingers that both De Rol Le and Vol Opt are in the game for old times sake! 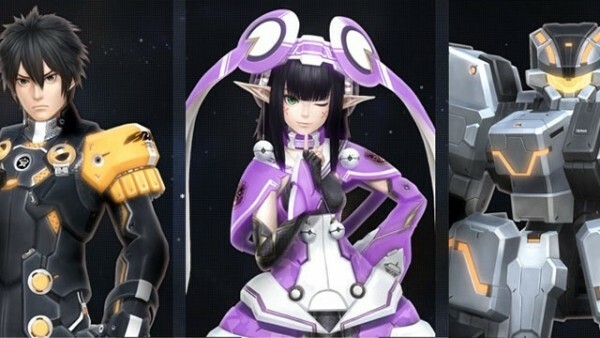 Phantasy Star Online 2 is slated for a Summer 2012 release for Windows / PC Japan, Winter 2012 for both iOS and Android releases and 2013 for the Sony PS Vita. There still hasn’t been any acknowledgement if the game will be released outside of Japan….. but we can only hope that due to the success that the original Phantasy Star Online had that it will.